One of the oft-repeated tales of Japanese ghost stories (or kaidan if you’re nasty) is the haunted cat tales. Possibly dating back to Segawa Joko III’s 1853 kabuki play “The Story of the Cat Monster of Fair Saga” (Hana Saga neko mata zoshi), a depiction of which can be seen here. These tales are called kaibyo, and generally feature cats that drink the blood of their murdered masters, return for revenge in a ghost story manner. Many kaibyo films feature lakes and haunted mansions, and some borrow other elements from similar famous Japanese ghost tales, like Yotsuya Kaidan. The amount of kaibyo films is in dispute (at least one source quotes over 100, though how correct that is I don’t know, and how many of the older kaibyo films are lost to time I also don’t know. 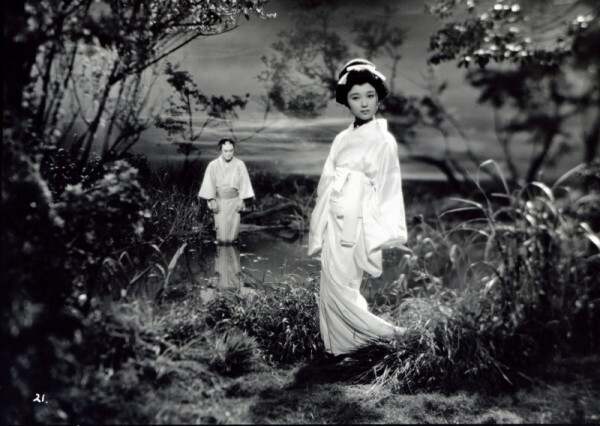 Thanks to a great overview of some of the films by Spectacular Optical, I can tell you that the first known screen adaptation was 1910’s The Night Cherry Blossoms of Saga. 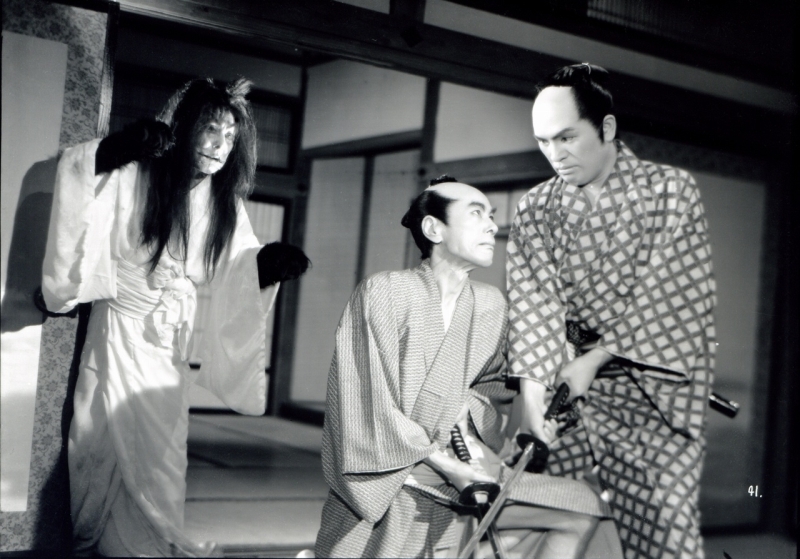 Enough of the kaibyo films were made that actresses sprung up who specialized in playing the roles of the vengeful cat spirits. Kaibyo films can seem repetitive, and the many films are less of a lesson in having a story than about telling it well. Director Yoshihiro Ishikawa filmed at least one other kaibyo film, The Ghost-Cat Cursed Pond, and besides writing that one also wrote Black Cat Mansion and Yotsuya film The Ghost of Yotsuya, so he is familiar with the classical tales. I hope to track those other kaibyo films of his down and compare them to see how he made each one different and how he didn’t. Ghost Cat of Otama Pond is based on a tale by Sotoo Tachibana. Ghost Cat of Otama Pond was screened as part of a Shintoho Film Festival that is making the rounds in the US, it was screened in San Francisco on a double bill with Vampire Bride at the Yerba Buena Center for the Arts, and I attended the screening along with duriandave of SoftFilm. Ghost Cat of Otama Pond is a color production (rare for a first-time Shintoho director), and really makes use of the colors for atmospheric effects. The lighting and design borrow from the kabuki roots of the ghost tales, with green being the most prominent color for supernatural elements. The ghosts are all let with a spectral green, and green lighting on the wall denotes when something creepy is going on. There is also a shadow of a cat’s head that is projected on the walls repeatedly as the ghost cat is enacting its vengeance. The ghost cat’s greatest weapon is the evilness of its targets, who begin to turn on each other while the cat pulls the strings.